While some carwashes overlook it, the right security system should be an integral part of any wash business. Carwashes focus a great deal of attention on attracting customers to their businesses and making them feel comfortable. When customers feel at ease, they feel welcomed at your wash. Many things including location, décor, staff, reliable equipment, building design and more can contribute to a patron’s comfort at your business. Another aspect that adds greatly to the customer experience is security. While some carwashes overlook it, the right system should be an integral part of any wash business. It protects various parts of your facility including equipment, the building and other areas. These systems can also help to build a loyal base of customers who visit your wash frequently because they feel they are part of a safe, inviting environment. “Having a good surveillance system in place can help you make sure you are not losing product, [or experiencing] theft of money by employee [or] vandalism,” says Mike Dalton, an agent with American Heritage Insurance. According to Matt Hord, training consultant with Brink Results LLC, theft and vandalism are the two main issues facing today’s carwashes. These crimes are not limited to outsiders, however. Employees can also be the culprits of missing cash. Carwash cameras can more than catch dishonest personnel — they can help to ensure workers perform well on the job. For Scott Duffy, vice president/general manager with Image Vault LLC, consumer and employee safety, damage claims and cash shrinkage are also major problems carwashes face. One technology allows store managers to work with centralized loss prevention groups. Video can be integrated with a carwash’s point-of-sale system, notes Duffy. This can greatly reduce the amount of time required to view the video if something happens, increasing efficiency. Additionally, systems can operate with sophistication that allows the system to sync captured video with metrics such as audio and receipt data. This way managers can better monitor money handling by searching for transactions. “Transactions can be monitored for not only external shrink (theft and burglary), but also internal shrink where an employee is taking money out of the till and putting it in their pocket as they perform a transaction or ‘void’ a transaction, or ‘sweetheart deals’ were an employee extends a ‘discount’ or ‘free’ wash to a friend or someone who is not eligible (e.g. police cars are free),” Duffy says. “One of the most overlooked aspects of carwash security is lighting,” says Hord. A well-lit property helps deter thieves and vandals from the property at night, explains Hord. It is important to have lighting in the wash bays, at the vacuums and near bill changers and vending machines. Bright, clean lighting can especially help self-serve customers who want to wash their vehicles at night, shares Hord. Another way to secure your carwash during the evening hours is to use enclosures that close and lock pay stations at night. 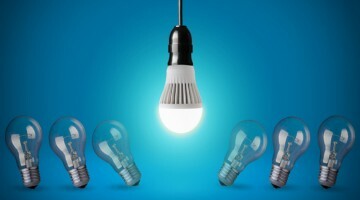 Lighting can also contribute to the efficiency of security cameras, which are an essential part of any security program. Duffy agrees that lighting is often snubbed, as well as the number of cameras plus whether to use analog versus high-definition cameras. “Low light is a common issue within carwashes. It should be improved [to elevate] consumer safety and to increase video [quality],” believes Duffy. For Hord, the largest benefit cameras provide carwashes is reduced damage claims. Cameras should be placed strategically around a wash to confirm or disprove claims a customer may make regarding the condition of his or her vehicle. Duffy recommends several cameras be installed at the entrances and exits of the wash, plus a few should be located inside the wash bay. “This allows for the possibility of detecting previous damage to a vehicle upon entry into a carwash bay, captures damage as it happens within the bay, or [it] captures suspect activity occurring inside or outside the car as it moves through the wash,” explains Duffy. Though the benefits are the same, security plans may vary by wash format. Hord advises exterior express carwashes to have around 20 cameras with views of the entrance and exit, inside of the tunnel and office space, plus the vacuum area. Cameras can also ease full- and flex-serve customers’ minds when employees enter their vehicles. “It gives customers peace of mind knowing that the employees’ actions are being monitored, and makes them less worried about having items stolen from their vehicles,” asserts Hord. In addition to lighting, the type of camera you use is also important to an effective security system. “Analog cameras may not provide a high enough quality picture in the challenging environment of carwashes, [while] a high-definition camera is much more effective in seeing detail on and inside the cars,” states Duffy. Proper lighting, improved transaction monitoring and choosing the right cameras all contribute to a safe, profitable carwash. Dalton explains that one frequently unheeded aspect of carwash security is not using a cell phone signal to call the alarm company when an emergency takes place. This system is especially important in case of a power outage, and since electricity is easily shut off by thieves and other criminals. Dalton says carwash owners should also check for suspicious activity around their card readers as well. Also a common form of theft on ATMs, some thieves will place devices on card readers that steal the information from a customer’s card. Carwash operators can inspect their equipment to ensure nothing looks suspicious or out of place to protect customers when they use a carwash. Another way to protect credit card patrons is to find out how credit card processing companies handle breaches in the system, shares Dalton. Determine if the company you use has a process for taking care of the clients, or what steps you need to take should an incident occur. Because surveillance technology goes through changes, Duffy encourages carwash owners to update their equipment every three to five years. Recent advancements, notes Hord, include the ability to view what cameras see from smartphones or tablets. He recommends operators continually monitor how their equipment is operating. If a carwash experiences frequent technical difficulties or they are not receiving clear, high-quality video, it’s time to upgrade. Dalton also advises operators to test every part of their equipment to make sure every aspect of the equipment works properly. Furthermore, Duffy believes that as washes continue to modernize, cameras will be used for more than capturing, verifying and deterring crime and damage claims. Video could be used for advertisement, and cameras could assist customers when they line up their tires as they enter the tunnel, as well as help them exit by displaying what is around customers as they drive. 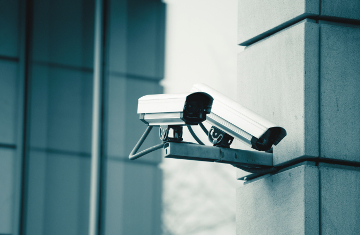 Finally, it is important to be realistic about the protection surveillance systems offer. Hord concludes that none of these measures can fully protect against a professional criminal, but they do help deter the amateurs. Owners should ensure they have the proper safeguards in place to reduce the cost and headaches even petty crimes can cause.